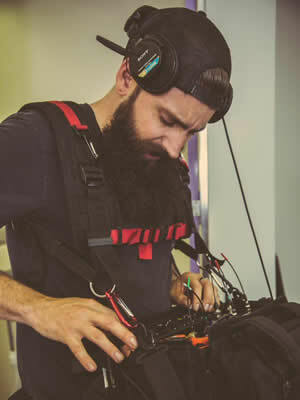 As a Bachelor of Audio graduate from the world renowned SAE Creative Media Institute in Sydney, and the founder of Sound ETC, it’s not surprising that Brett is truly passionate about sound. He is the recognised go to location freelance sound recordist for so many companies and organisations? many of whom have already used his services on multiple occasions. Among these many clients are Channel 7, Fox Sports, MTV, The Discovery Channel and SBS, the BBC, ABC and NBC/Universal. To this impressive list you can also add Google and Virgin Australia, Shine Australia and Will O’Rourke, Optus, and The Lifestyle Channel, among many others. Your upcoming project might be a tense film drama or thought provoking documentary, a TV reality show, perhaps a commercial or promotional shoot. It might also be studio or location based, or you might be undertaking a live outside broadcast. Whatever your needs or location, Brett will always deliver his commitment to providing the highest quality of sound recording, so vital to the success of any project. Brett always uses state of the art sound recording equipment, such as Sound Devices 633 and 664 Field Mixers, Radio, Shotgun and Lapel microphones and much more. These well-proven choices are paired with his extensive talents, and a level of knowledge that is constantly updated with the latest in sound recording techniques. 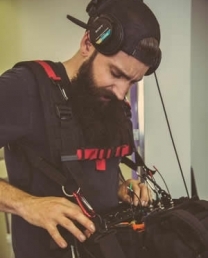 Brett is highly motivated and ever-ready to provide the highest standard of in studio or on location sound recording work which will ensure that your project delivers at its best.